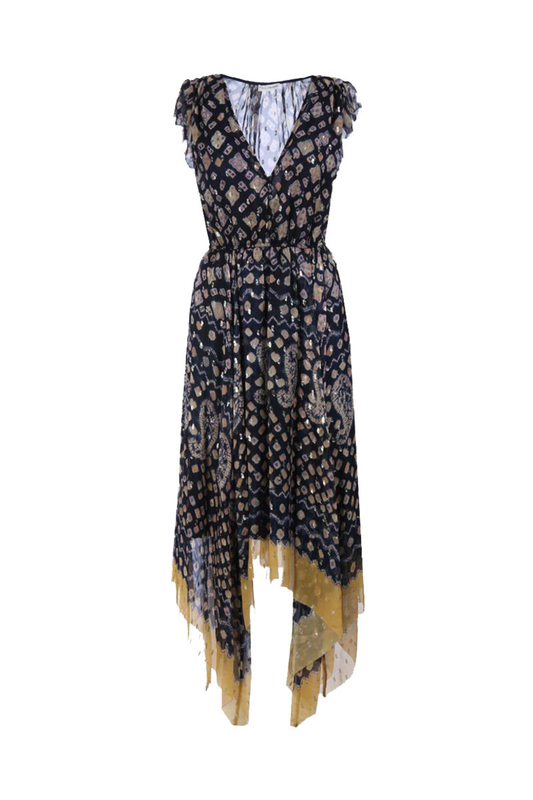 Shibori silk ruffle midi dress with embroidered lurex dots. Handkerchief hem, cascade ruffle skirt, flutter sleeve, half button placket, elastic waist, lined skirt. Size 4 measures 43" from shoulder to hem.